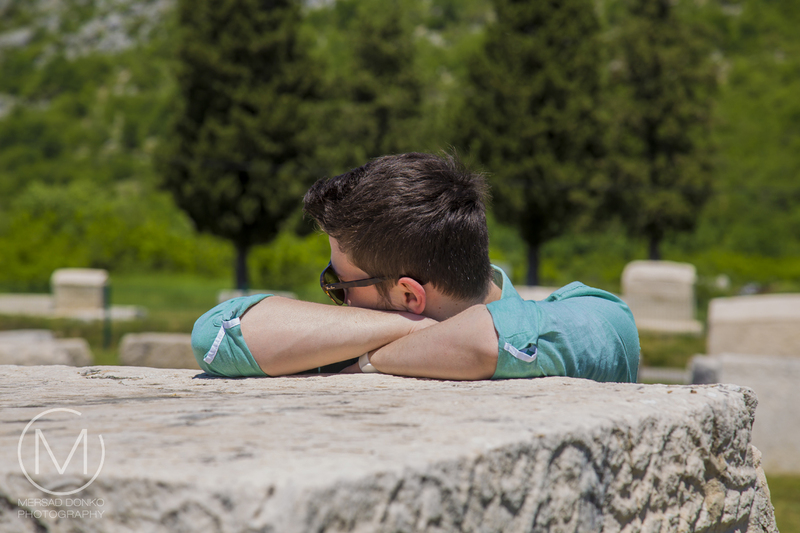 I know we have just finished the big travel series to Barcelona, but as life would have it a new day trip to Stolac, a city nearby, would yield yet another travel series. This one is a bit shorter (only three parts) but it will showcase new parts of my country which I hadn't visited before. 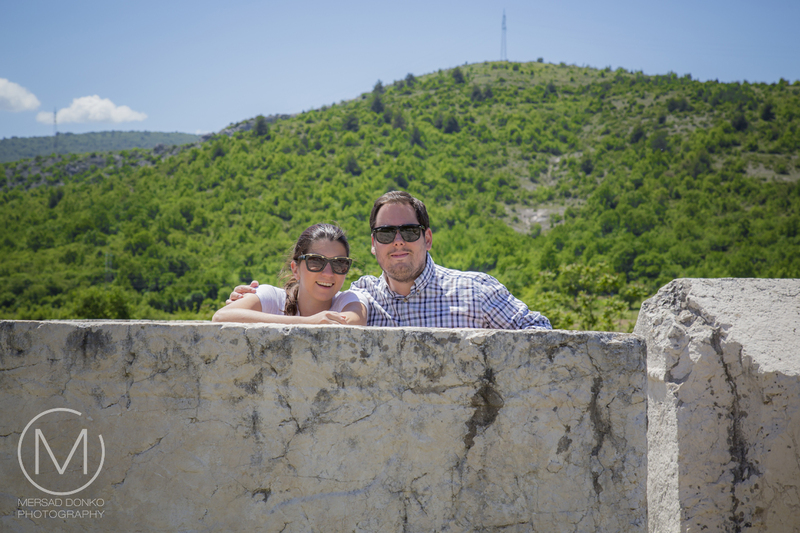 It's funny though, because Stolac is only a 30-min car ride away from Mostar. 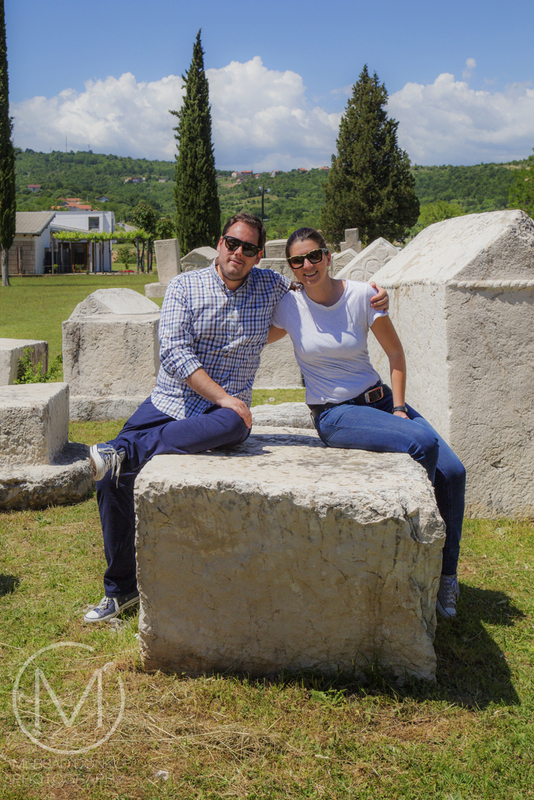 In this travel series we will see the famous old tombstones called Stećak, then we will have lunch in a restaurant next to waterfalls on the Bregava river and will finish up our trip in the Old Town of Stolac, which constitutes of an old fortress located above the city. So I hope you will enjoy the images and stories. 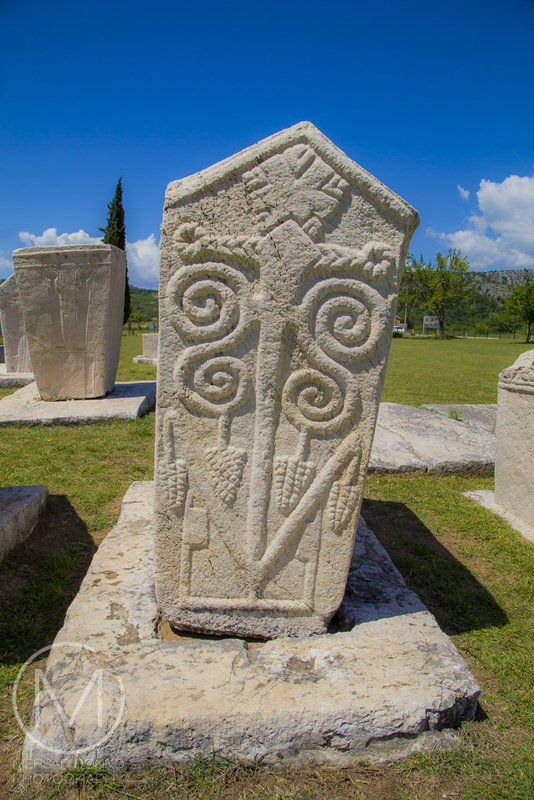 Radimlja is a stećak necropolis located near Stolac in south-east Bosnia and Herzegovina. 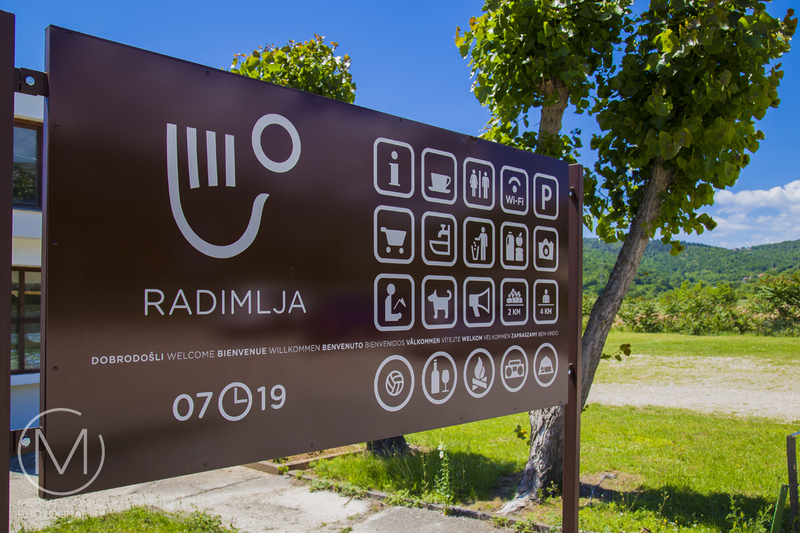 It is located in Vidovo polje, 3 km west of Stolac, on the Čapljina-Stolac road. 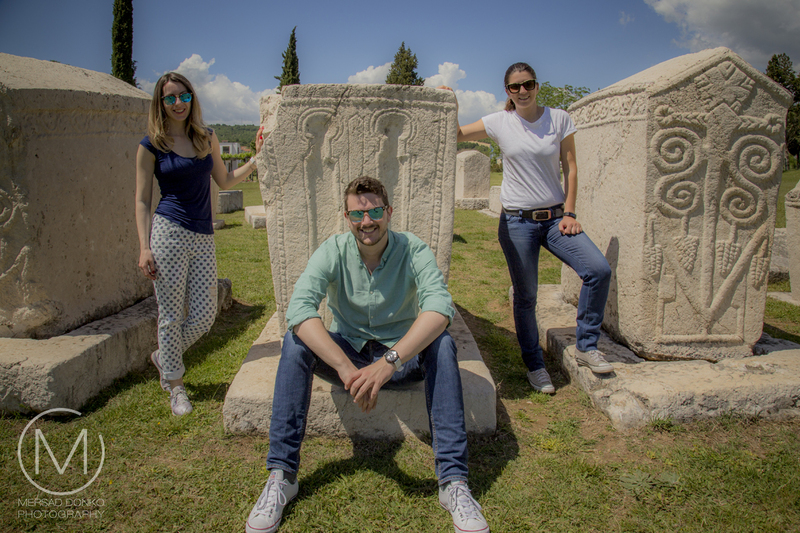 The Radimlja necropolis is one of the most valuable monuments of the medieval period in Bosnia and Herzegovina. We arrived there by car. There is a parking lot next to the visitors center, parking is free. 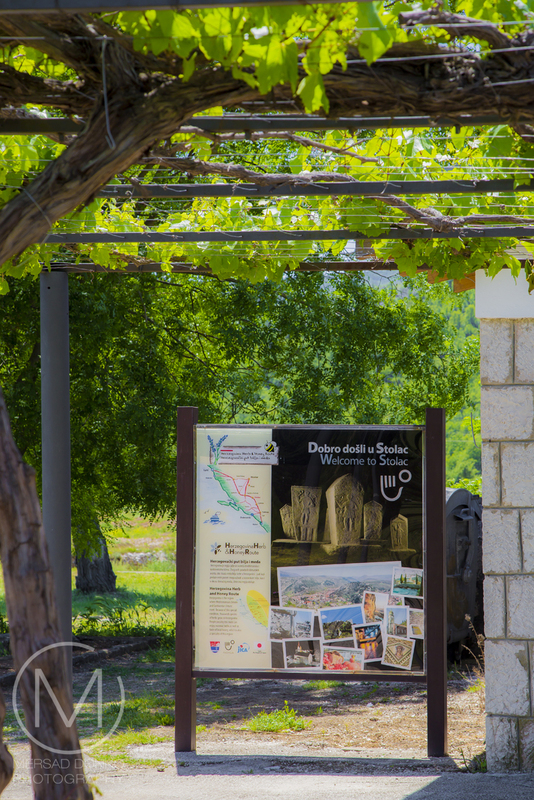 In order to get to the grounds you will have to pay entrance, which is 4 KM (2 EUR, or 2,2 $). 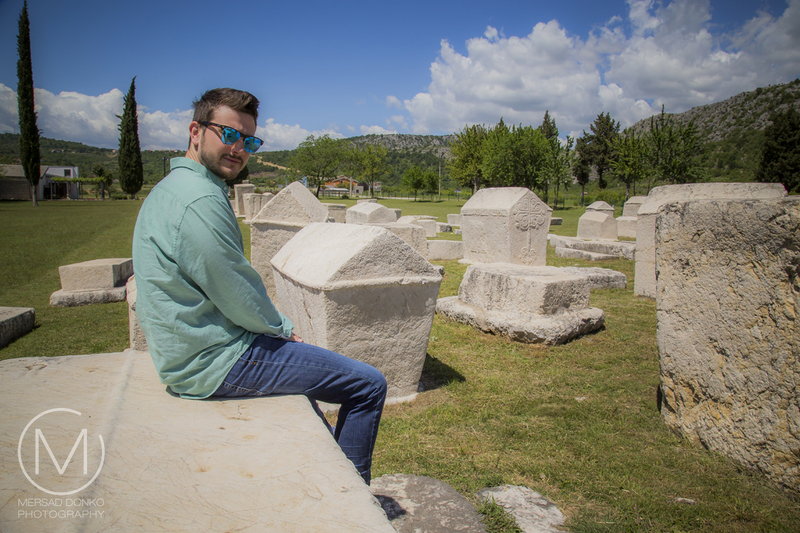 The majority of its stećak tombstones date from the 1480s and 16th centuries, as evidenced by the epitaph on one of the tombstones. At the time the location was known as Batnoge, and the period of creation of the necropolis coincides with social-economical rise of the Vlachs. Currently the necropolis numbers 133 stećci. 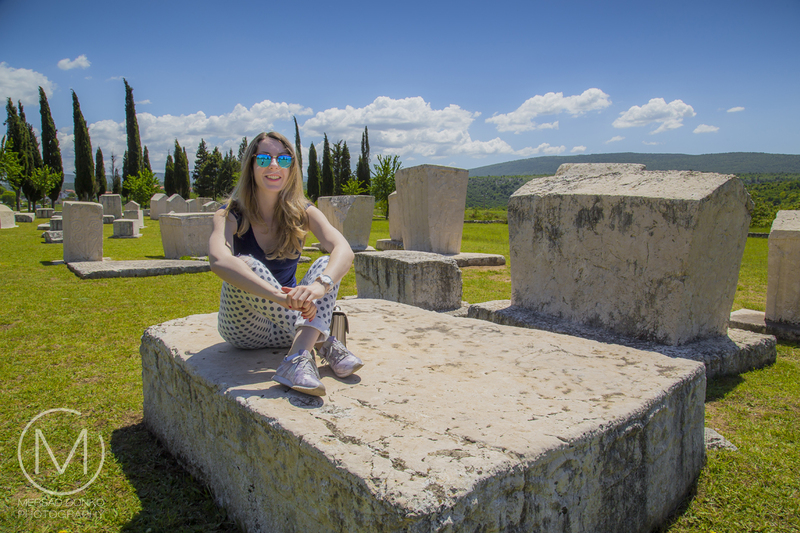 When the Čapljina-Stolac road was built during the Austro-Hungarian period in 1882, it ran through the necropolis and destroyed at least 15-20 tombstones in the process. The core of the necropolis was built in the end of 14th century, when were made three big chests, of which two are richly decorated with motifs in bas relief. The next phase include simple chests (sanduk) and ridges (sljemenaci) with flower crosses on the front and borders acanthus leaves. 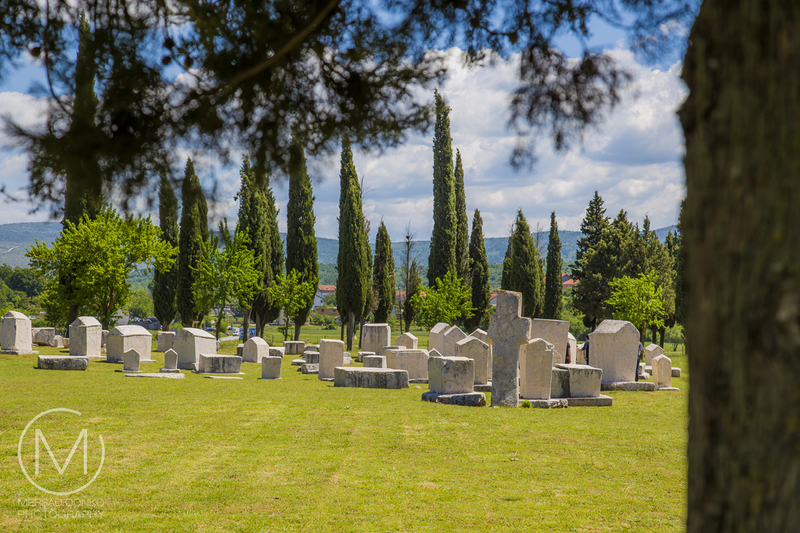 The last phase with circa 20 separate stećci of high quality and diverse forms indicates to be cemetery of Miloradović-Stjepanović family, attested in epitaphs on five tombstones. 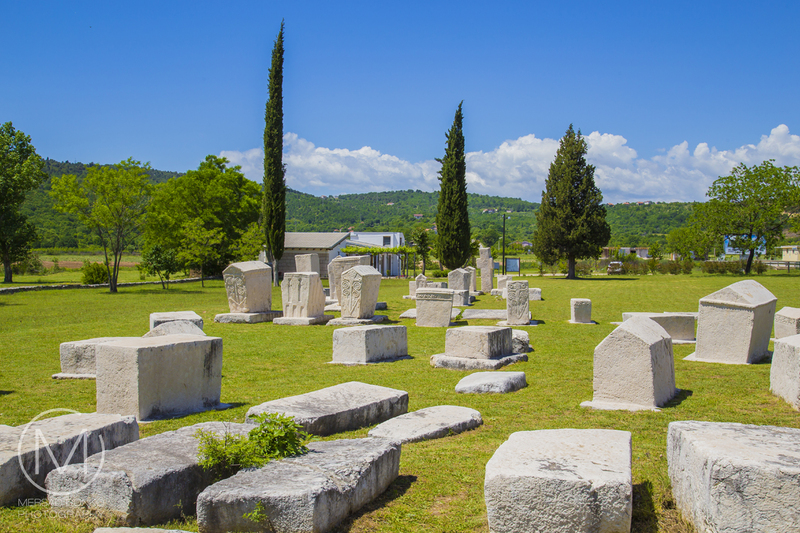 Due to several Illyrian burial mounds near the necropolis it seems the location was used from earlier times as resting place for the dead, and the population of Batnoge continued this ancient tradition. 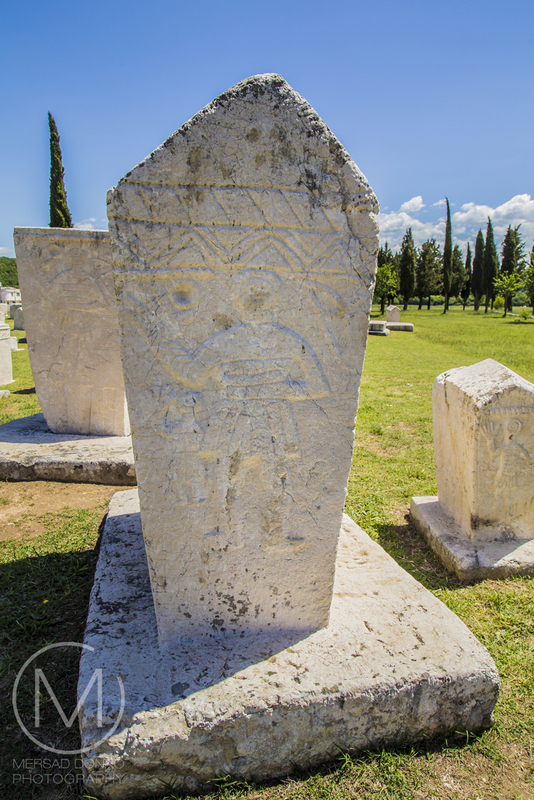 A total of 63 are decorated (almost every second stećak), in bas relief, engraving or a combination of the two. The finest decorated examples are tall chests with pedestal and sarcophagus with pedestal which belonged to the social elite. 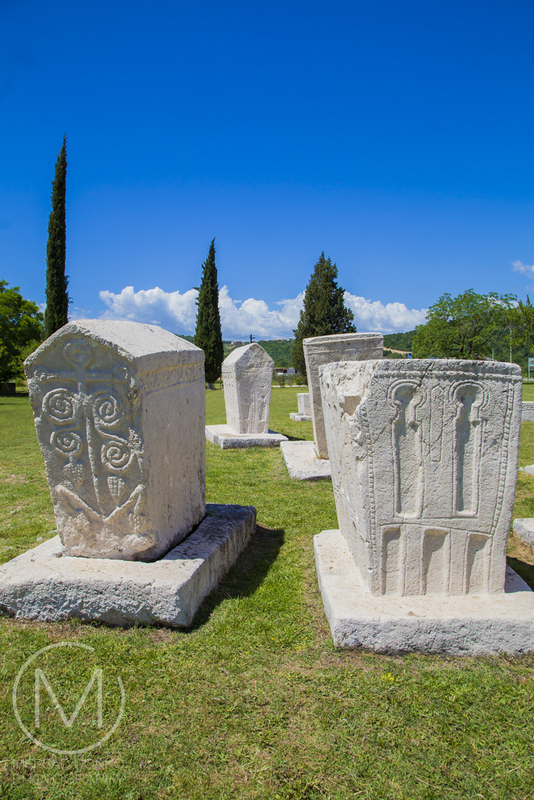 The stećci were made of limestone cut out of stone at Ošanići hill, there trimmed, and then moved to the necropolis where was made final work and ornamentation. The stećci at the location itself are thickly distributed and located immediately along the road. 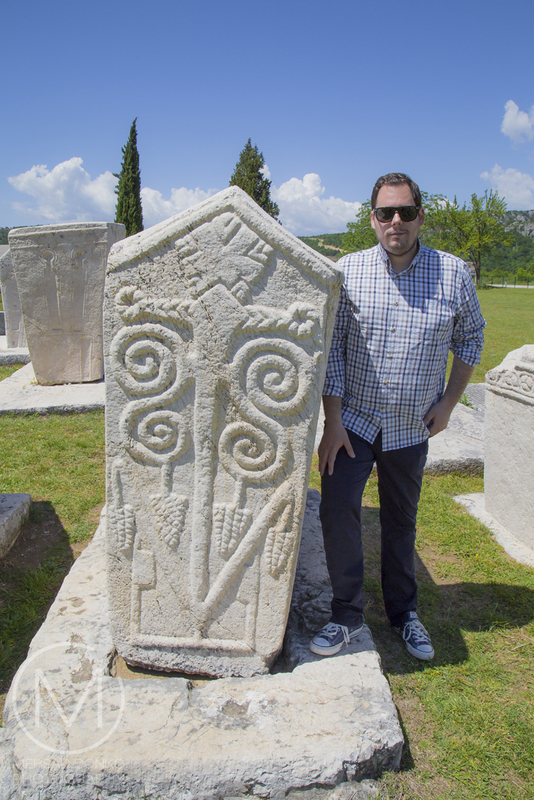 The necropolis on Radimlja is rich in ornamented stećci, there are, as I said, as many as 63 of them. 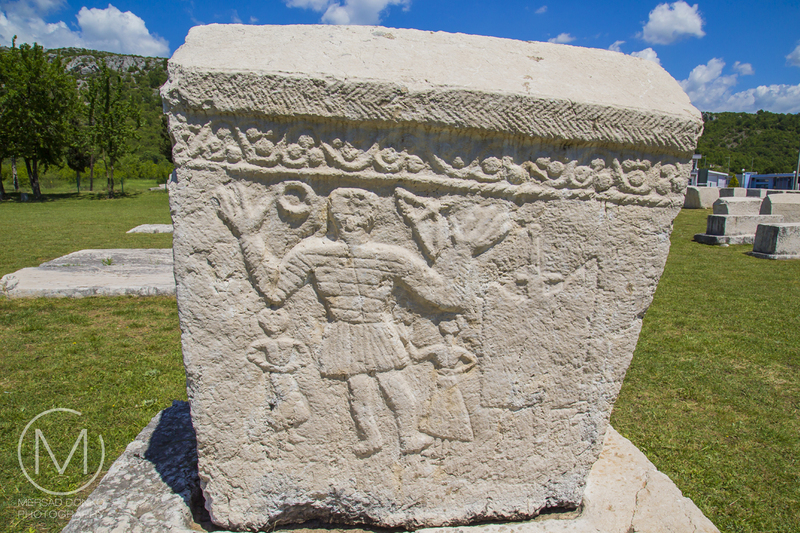 The characteristic motives of stećci of this necropolis are: architectural ornaments on all four sides of stećci, stylized crosses, human and animal figures, grapevine, hunting and weapon motives. 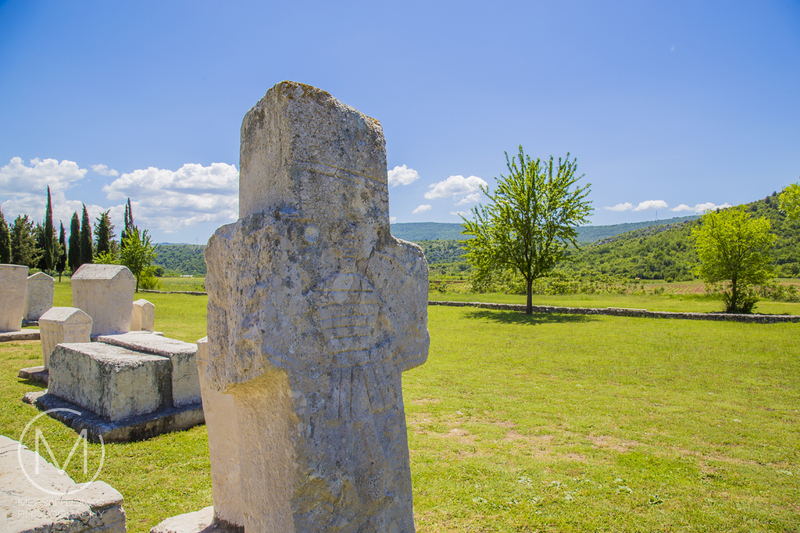 The characteristic feature of this necropolis is a male figure with a raised arm and relatively big hand and fingers, as if indicating to the traveler that he or she will find welcoming and friendly people in this harsh and karstic Herzegovinian area. 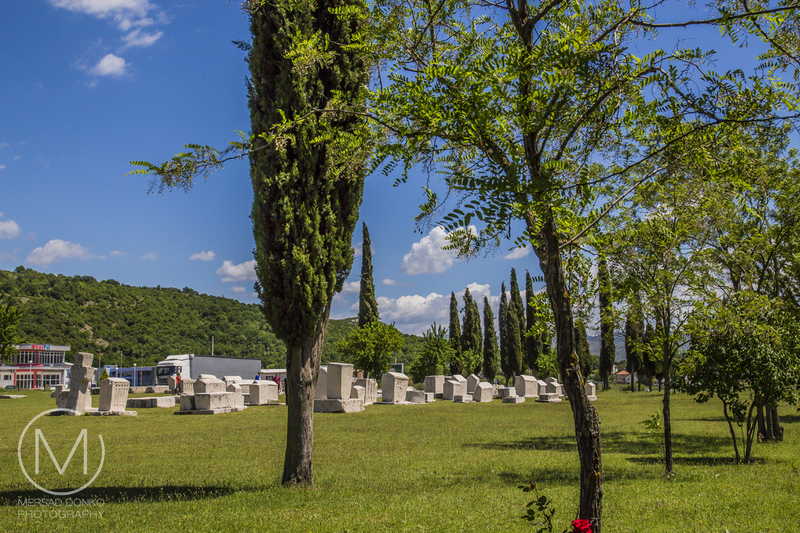 On November 5, 2002, the Commission to Preserve National Monuments of Bosnia and Herzegovina adopted a decision proclaiming the historic area – Radimlja stećci necropolis near Stolac, a national monument of Bosnia and Herzegovina. In 2016, this site was listed as part of UNESCO's World Heritage List. 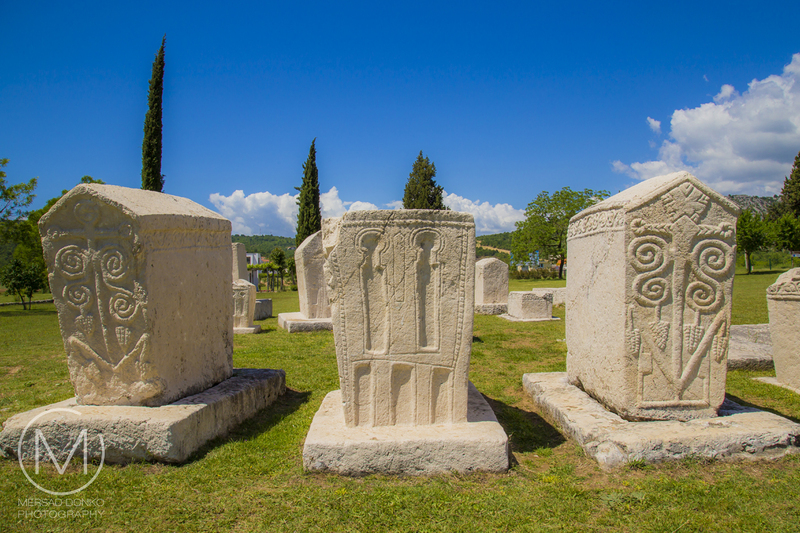 The necropolis is among the most valuable monuments of the medieval period in Bosnia and Herzegovina. The characteristics underlining its value are: large number of samples, variety and representatives of all basic forms, relatively high artistic quality of work, variety of plastic ornaments, reliefs and titles mentioning historical personalities, as well as its availability and location. 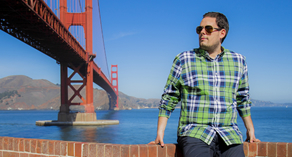 I hope you enjoyed the start of this new travel series. It will take us into new territory previously unseen and unvisited by me in my own country, so I hope to get this across as best as possible. Thank you for visiting. Gorgeous blue skies and fluffy white clouds, Mersad! You had a perfect day for it! Yes we had a great day here Liz. Thanks for stopping by. Hvala ti. Da bilo je konačno vrijeme. 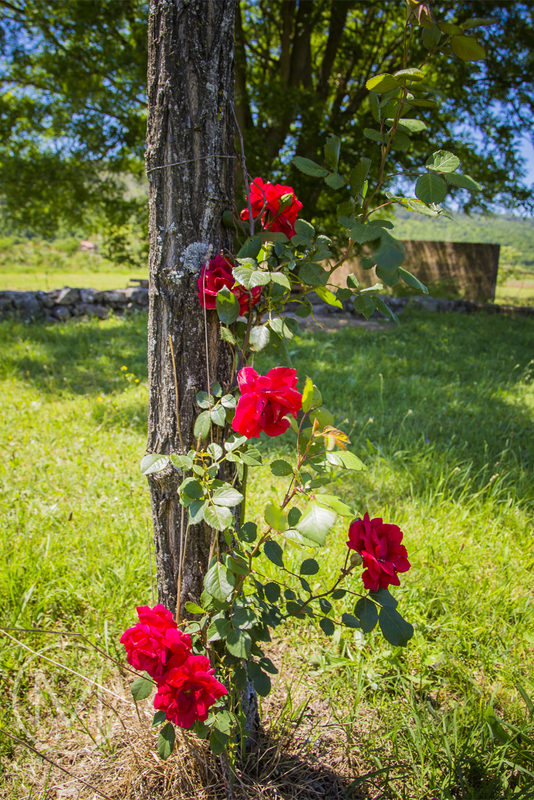 A u druga dva dijela obilazimo još i Stolac, tj Stari grad i tvrđavu iznad grada, tako da dolazi još više prizora iz ovih krajeva. Amazing place. Nice write up and awesome pics. What a beautiful place. 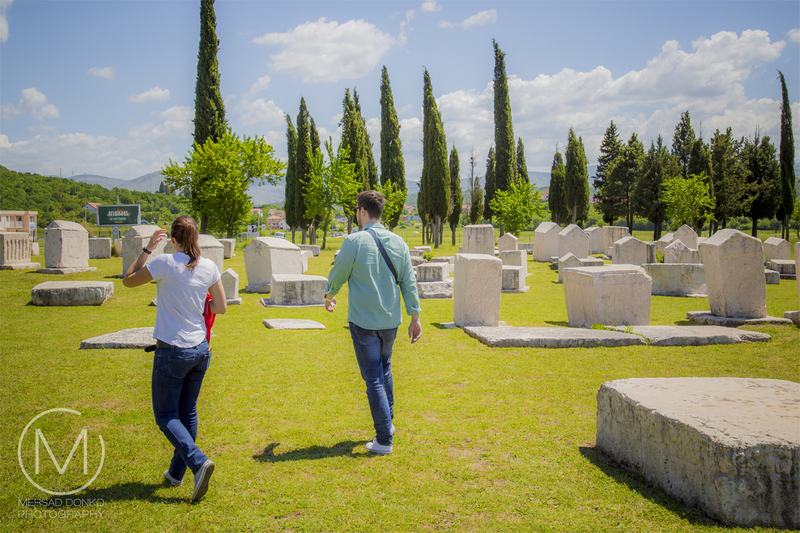 We, too, enjoy visiting cemeteries to learn about others who have lived in areas where we travel. We visited a cemetery in Malta where we found Norwegian sea captains buried. 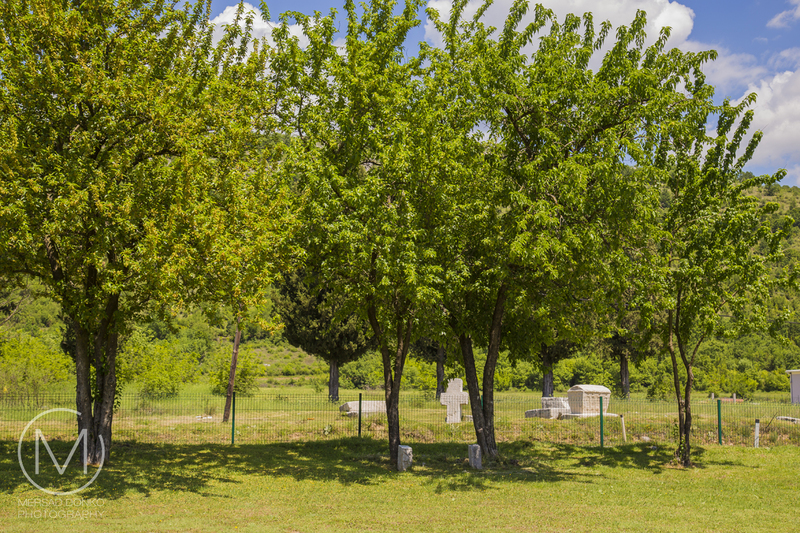 In the USA, we follow the US Civil War history through stories found in military cemeteries. It is all such fascinating history, isn't it! I love to visit old cemeteries and this one is full of some pretty amazing art.. Awesome. I've been eyeing Baltic countries tour because of your posts. I hope that I can go there someday. 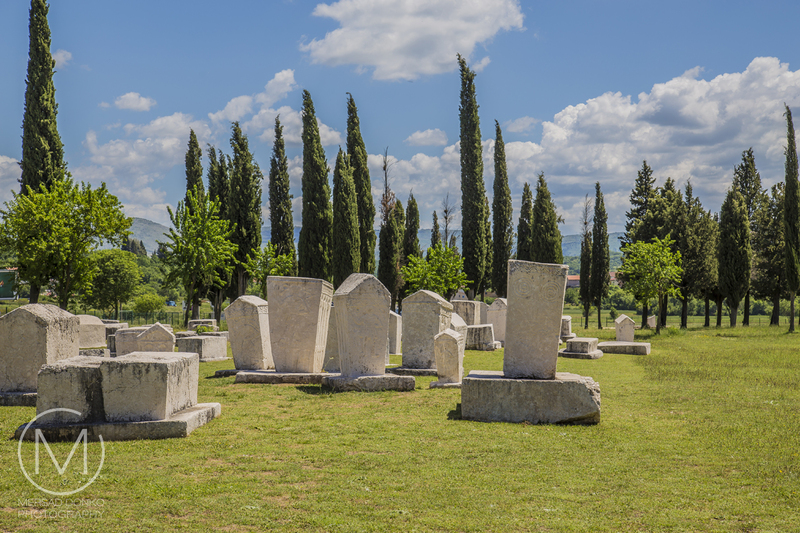 It's fascinating to see burial grounds from centuries past! Such a beautiful historic cemetery! I love the wonderful carved headstones! Those stones are massive! And they seem to be amazingly well preserved. Most interesting. 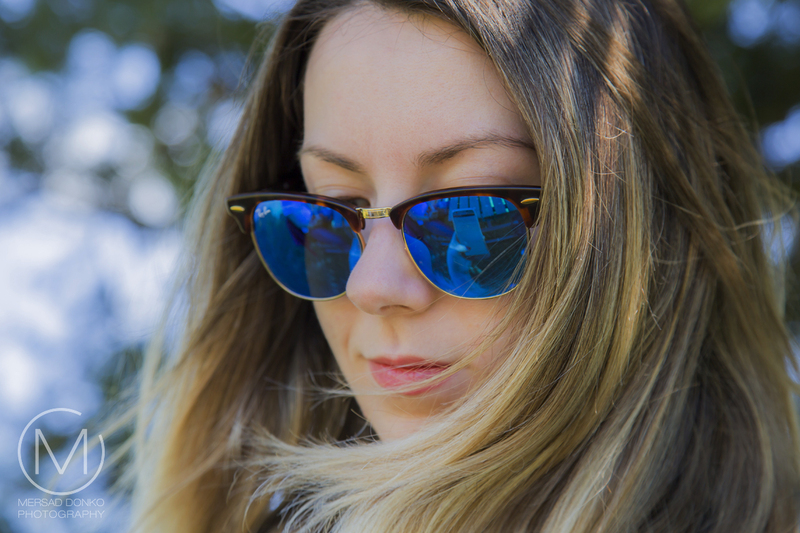 I love that close-up portrait of Jasmina. Amazoniana Vlach heritage. The Vlachs are The ancestors of all Balcanic Peoples.